Cabinet Door. 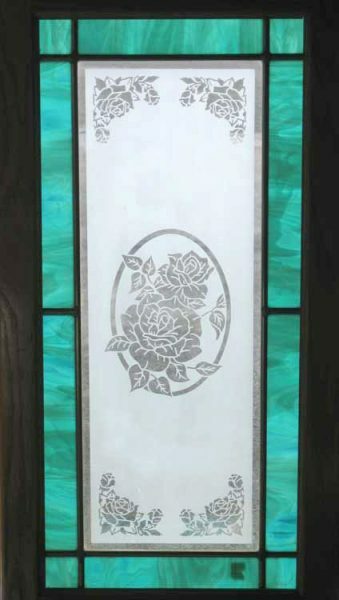 Teal Border with Etched Rose interior. Brass Came. Wooden Frame.